www.balticjourney.com – tour operator in the Baltic States. Our office is located in Latvia, Riga. As our country is not too large for a long stay we offer to make a package tour with neighboring countries as Lithuania, Estonia, Finland or Sweden. We have more than 10 years experience in tourism. For all the years we have got a large experience in the organization of any kind of travel, business tours, weddings and other celebrations. We have got many loyal partners and we can guarantee quality organization of Your tours. We are organizing individual and group tours, we also join our tourists to the ready tours. From other tourism agencies and operators we are different that we do tours not only interesting and modern, but also full of fun, unforgettable and easy understanding. Our guides do not dictate memorized standard phrases, but are trying to present the information in an accessible and interesting form for the listener. We do not give up from standard excursions such as Sigulda, Rundale, Cesis, National parks, Jurmala and others. But at the same time we organize tours to a very amazing places that others do not even know. For example, in Latvia there are underground lakes, Soviet military bunker, you can stay overnight in the Liepaja prison, to visit cinema town in Tukums, try ostrich eggs directly on the farm, to see fish jumping, and more. It’s no secret that many people come to Latvia for the purchase of real estate and obtaining a residence permit. Our experts will help you choose a good offer and help to purchase it. Europeans already have noticed that in Latvia we have excellent cookers and meals, so they come to us just for dining too. For lovers of good food we make special offers! In recent years it has become fashionable to celebrate weddings abroad and Latvia is not an exception. All this and more we offer to you! 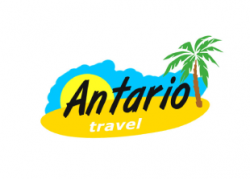 Excursions and extreme tours; adventure and bicycle tours; city trips; cruises; cultural and study tours; family holidays; group tours; long distance trips; luxury travel; SPA and treatment; transfers; rent a car,mini aircraft, yachts; rent and purchase of real estate; weddings and other events; guides, translators, assistants; ecotourism; airline tickets, bus tickets; concerts; registration of companies in LV; insurance. Your loyal partner in the Baltic States.